Talkin'Blues DVDs are commissioned works, and typically infuse the work with deep, insightful commentary, penetrating and sometimes surprising, interviews with the musician and his	community, as well as featuring top notch live and studio musical performances. We're capable of producing long term projects of enduring value, such as our three year involvement with Mel Brown, which required a large volume of back story research and additional interview footage. We're also equally capable of delivering sharp visuals, great sound, and concise interviews and associated clips on tight deadlines. "Director, videographer, Mako Funasaka captures blues guitar master, Jack de Keyzer and his sextet (Chris Murphy, saxophone; David Dunlop, trumpet; Martin Aucoin, piano/organ; Alan Duffy, bass; Tony Ajo, drums) performing blues, funk, jazz and soul in a set of original tunes recorded live at Toronto's, Hugh's Room. Mining songs from the singer, guitarist's 25 year catalogue, the Silver Blues DVD also features interviews and studio footage from de Keyzer's Juno Award winning, "6 String Lover" recording sessions at Toronto's famed Liquid Studio. 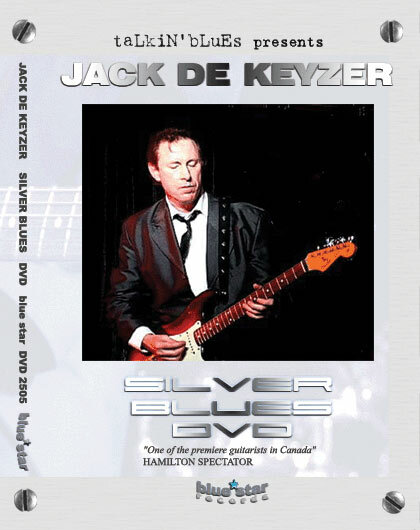 Silver Blues is an entertaining, inspiring and enlightening look into the life and artistry of musician, composer and vocalist, Jack de Keyzer." 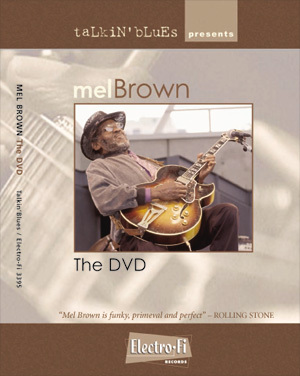 "Winner of the Living Blues Magazine People's Choice Award for the Best DVD of 2006"
Copyright © 2010 talkin blues.